"When life gives you scraps"
All about these cute squares she was making with her scrap wool. 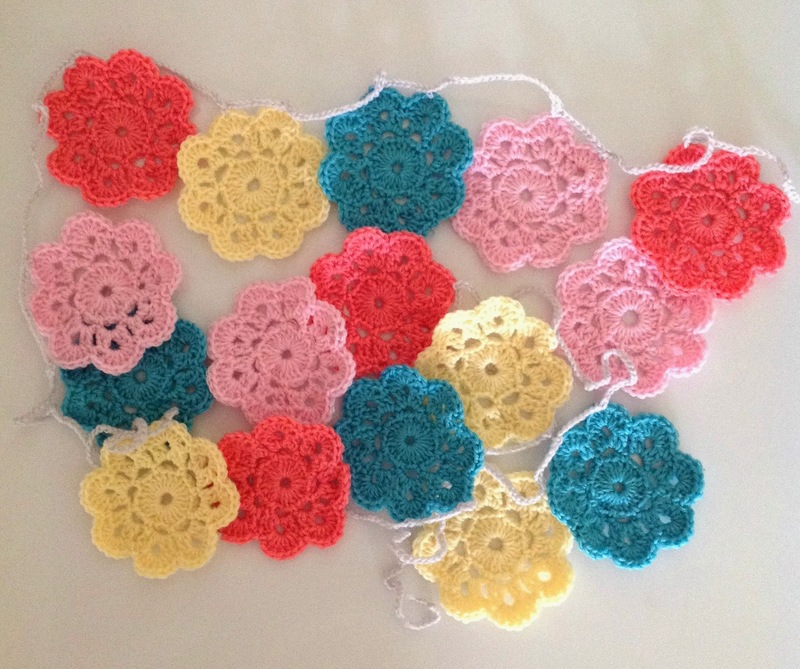 my African Flower project (and knowing that my next project is in a different Ply). Then next thing I was playing with that scrap wool! 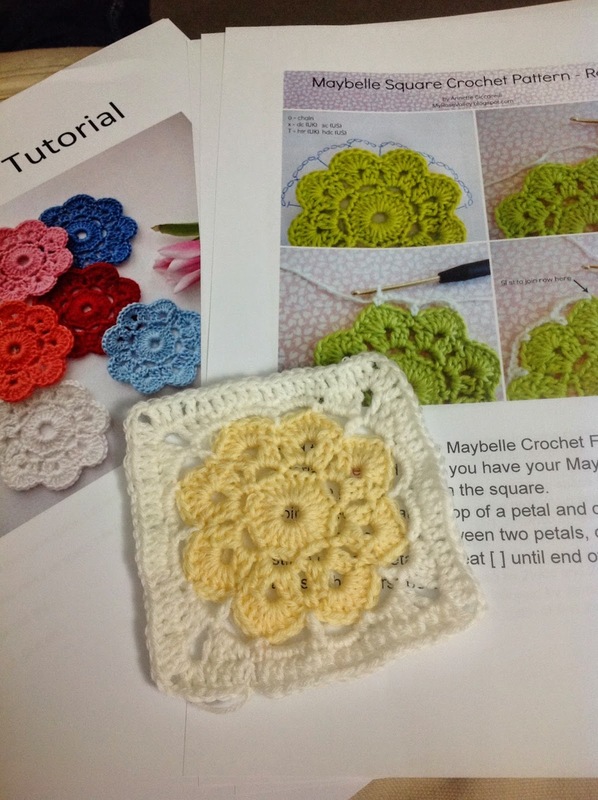 Teaching myself, with the help of a tutorial how to set some Maybelle Flowers into squares. This was my first attempt. I have fallen in love with the Maybelle Flower after making Lily's garland. So this is now my view next to "my chair" in the lounge room. I think it's safe to say that Crochet has taken over from hand stitching / embroidery for the moment. Hope your keeping warn and finding time to do something you love. Gorgeous Sharon - sounds very addictive to me. You are making me want to reach for the crochet hook, Sharon. LOL. Your little flowers and squares are so pretty. They are looking lovely. And you have to find a way to use all the wool scraps, so this is perfect. OK I'll take the blame for you becoming a crochet junkie lol. 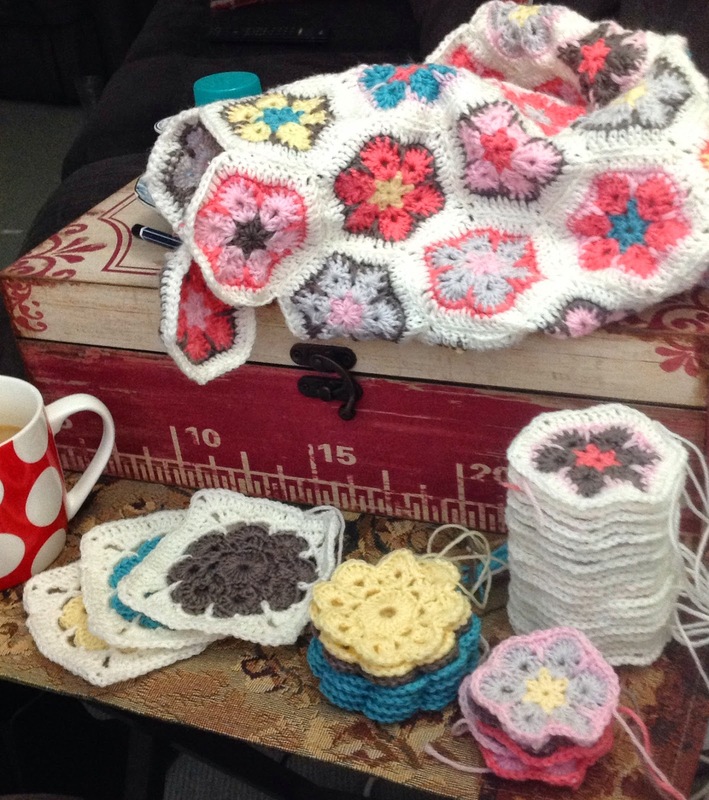 I've been looking at these Maybelle flower squares for a while now and will look forward with great interest in seeing this project grow with photo's along the way to tempt me :) Barb.